The State and the efforts amade against addiction - Part 1 - Casino Inside - The gambling industry magazine! 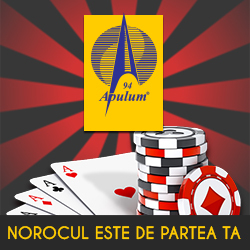 Both media and the official stand of government representatives say that Gambling generates addiction among population. The last modification of the regulatory framework, performed in December 2014, has tried to improve this situation by establishing a public interest foundation by the legislature, intended to conduct public programs against the effects of addiction, in line with the European law. In this context, it is relevant to address the relevant European forum on gambling addiction, which is considered a disease, addressed with the word “treatment” and not „counseling”. The organization of conferences and seminars presenting the concept of responsible gaming. Information and recurrent training (eg. Annually) on responsible gambling and with current information, of the employees of the gambling operators. Guiding players with problems towards specific treatments. Means and methods of identifying the age of the players, to prevent access of minors to game devices. Effective means of self-exclusion or “cooling of” the players, especially for the staff dealing with customers. Organizers of gambling undertake to provide within the organization a level of awareness of the existence of problems caused by gambling, so that responsible gaming to become an everyday attitude of the employees. are informed in writing that they are forbidden to lend players in any form. are equipped with support materials (brochures, posters, etc.) so as to educate players about the responsible gaming. are informed in writing about the management procedures for self-exclusion of players so as to be able to support them when required. are informed in writing about responsible gambling before starting a sales campaign. Training conducted by specialists is preferred. if necessary, they can receive training on how to address gambling problems. are evaluated annually on the effectiveness of the work performed to promote responsible gaming. Must be preceded by a study of impact on players regarding the related risks. The organizers will be forced to implement strategies aiming to minimize the probability of risks materializing. In the case of high risk the launching may take place only if the new product is improved or if the other high-risk products already on the market get better managed. It should include self-exclusion solutions for the players whenever it is operational possible – for all players, not just those with gambling problems. All studies and processes described above will be documented as formally as possible. Customer Registration requires obtaining minimal information such as name, age, address, username and password. To verify them, whenever necessary, organizers will use specialized third parties specialized on the verification of the right of playing of the potential client. The organizers shall ensure that the systems include: address validation, restricting access for people under 16, 18 or 21, depending on jurisdiction. Changing credit limits will be performed immediately downwards, but with a delay (eg 24 hours.) for “cooling off” the player in case of increasing modifications. No player is allowed negative credit. The implementation of systems of self-exclusion of the player is mandatory. Furthermore, any marketing or promotional action will not be directed to the self-excluded player. Where time is important (eg. in live games between players) information on the time spent at the game will be displayed, account status, warnings about the time spent playing, etc. so the player does not lose touch with reality.